Jotamastic 87 Aluminium is a two-pack surface tolerant, abrasion resistant, high solids polyamine cured epoxy mastic coating which may be applied in high film thickness. The aluminium flakes enhance the barrier effect and gives corrosion protection for up to 15 years on steels that's been properly prepared. It is available with different hardeners (component b) for varying substrate temperatures, Standard (Std) and Wintergrade (WG). This product is a part of a complete system which is certified not to spread flames. 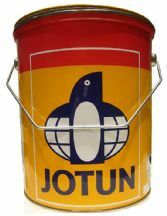 Jotun Pioner Topcoat is a single pack semi-gloss acrylic topcoat with good hiding properties and colour retention. 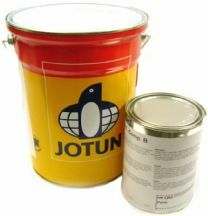 Pioner Topcoat can be used over the top of Vinyguard, Jotamastic and Penguard range of primers. It is quick drying and suitable for use both internally and externally.